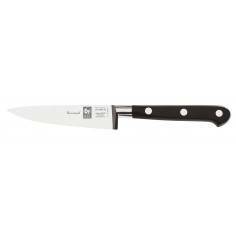 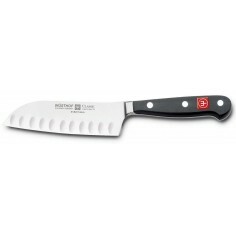 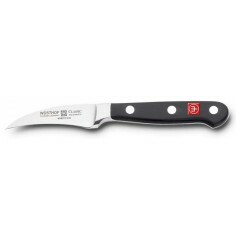 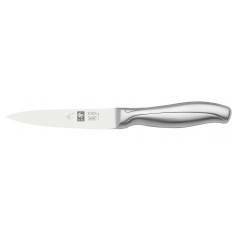 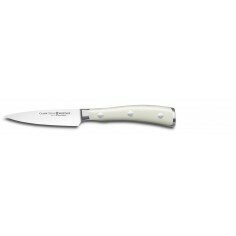 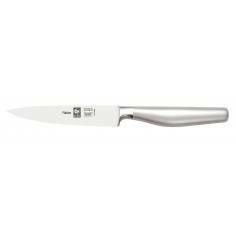 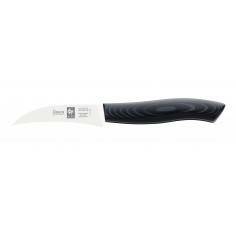 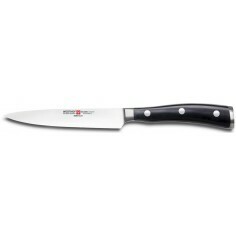 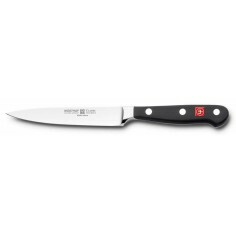 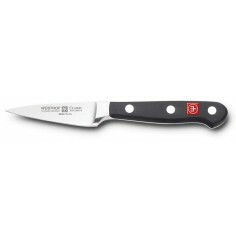 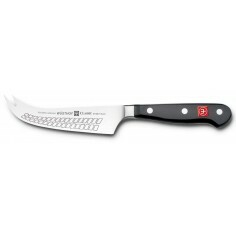 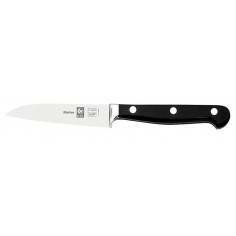 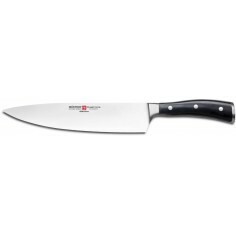 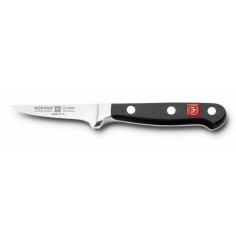 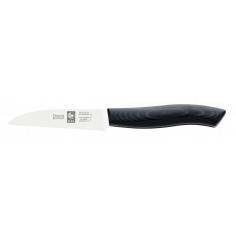 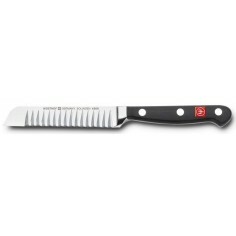 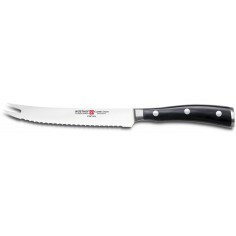 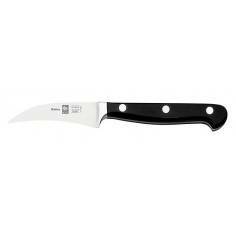 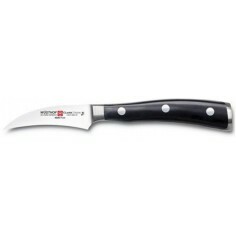 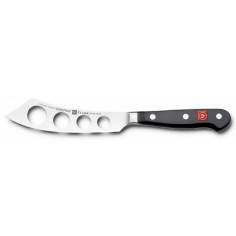 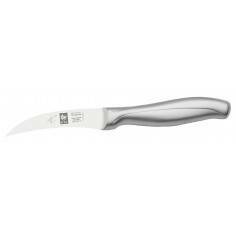 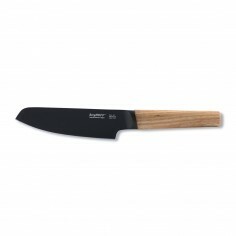 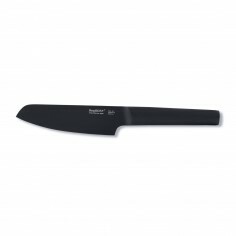 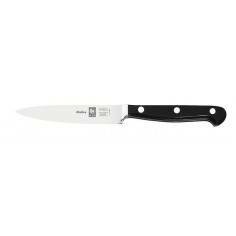 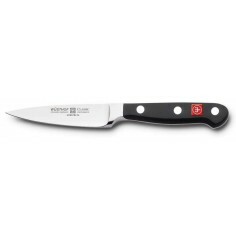 Wusthof Classic tomato knife. 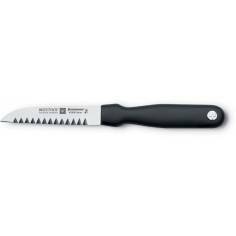 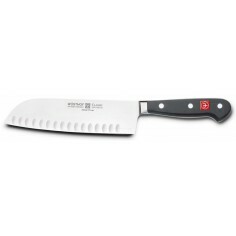 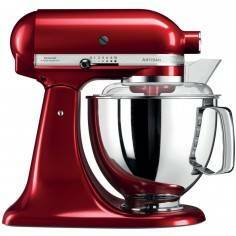 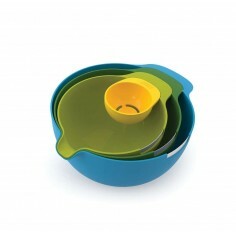 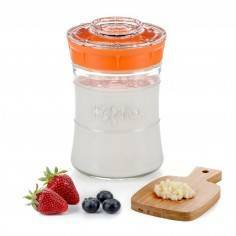 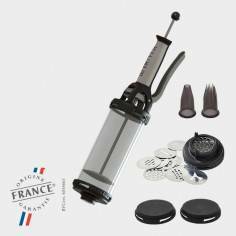 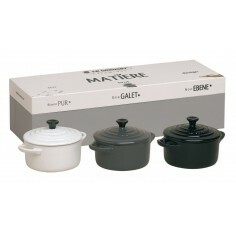 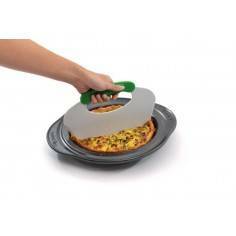 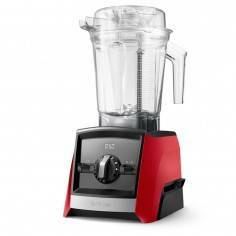 The serrated edge slices even the ripest tomato as thin as you like. 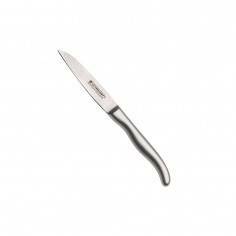 The forked tip is great for serving. 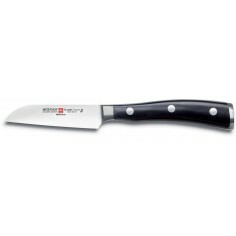 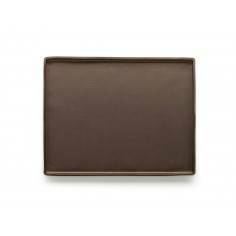 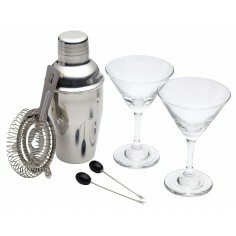 With serrated edge. 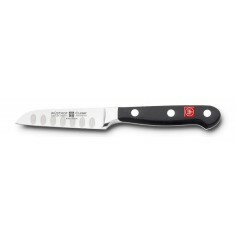 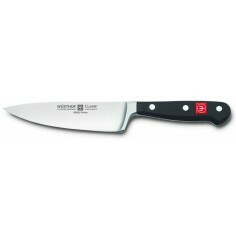 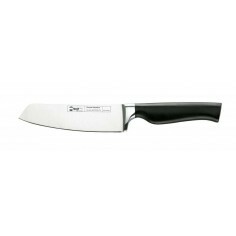 Quality - Made in Germany Solingen.